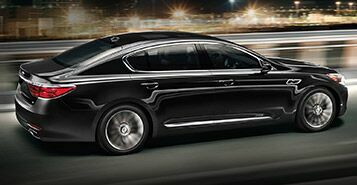 A total transformation compared to any other vehicle offered by Kia, meet the newest addition, the K900. Larger and more luxurious in comparison to any other Kia sedan, the K900 meets every expectation of a full-size luxury sedan except for one, price. 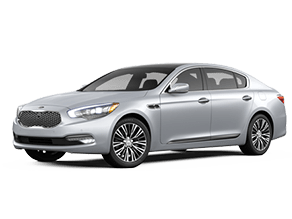 Unlike with most upmarket models, the Kia K900 does not bear a luxury brand badge and therefore is able to bypass an overinflated price. Affordable while boasting an affluent look and feel, the 2017 Kia K900 is clearly fit for a king. Speaking of kings, long before he became an ambassador for the K900, NBA All-Star, Lebron James, was an interested K900 fan who personally asked for a firsthand driving experience. The Kia Design Team took extra care to create a sedan that not only looked athletic, with deep curves and a sweeping shoulder line, but also had a strong presence that any driver or bystander could instantly feel. Its sleek and articulate design enables the K900 to slice through the wind, delivering graceful handling and uninterrupted peace and quiet within the cabin. Open any door of the Kia K900 and discover the high-end craftsmanship of its cabin. Passenger space is never compromised, giving everyone plenty of room to stretch out in. 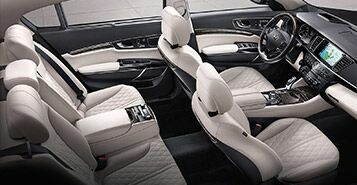 The plush seating and available heated and ventilated front and rear seats are a cushy touch, helping to alleviate any discomfort caused by long-term sitting. All K900 models come with standard leather seats and a full-length glass moonroof extends the length of the roof. As expected with any performance sedan, the 2017 K900 delivers a powerfully dynamic ride. Beneath the sculpted hood of the K900 is a standard 3.8L V6 engine, capable of 311 horsepower. Upper-level models exchange the V6 for a 420-horsepower 5.0L V8 engine good for 376 lb-ft torque. Both engines share an 8-speed automatic gearbox which directs a steady flow of power to the rear wheels. More important than keeping you and your passengers comfortable with a world of technology at your fingertips is top-notch safety. 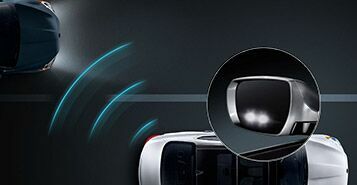 The interior of the K900 is lined with eight airbags and comes standard with advanced systems like a backup camera and rear cross traffic alert. The Luxury level trim upgrades to a surround view monitor, heads-up display, adaptive cruise control, lane departure warning, and more.